How Do You Start A Food Company? The economy is tanking and the traditional job market has become a fossil almost overnight. The 9 to 5 job that required you to get a college degree and then stay with the same company for your whole professional life has been dying for a while, and the great recession put the final shovel in its grave. The shift has been unsettling to many, but the same forces that have zapped away the jobs of yesterday have created remarkable benefits to the agile-minded. You can have any job you want, but you have to create it yourself. That’s what I did, and you can too. The world’s an unhealthy place, and it needs people willing to do the hardwork needed to give people more knowledge, tools, and products to keep themselves feeling vital. If that’s your thing, you might as well get paid for your efforts. A question I frequently get asked by my friends is: so how does starting a health supplement company work? I’ve never heard of anything like that before, what do you do? Hopefully this piece will shed some light on the issue, as well as give you a few other ideas to get the wheels turning. No certifications required. Nothing will require you to have certain letters after your name. You shouldn’t have to spend the best years of your life slogging through the credentialist grist mill just to get permission to go into a field. Low startup costs. To get up and running with these will cost you anywhere from $0-$5,000. For a few it’s actually hard to spend a lot of money getting them going. No unique materials required. For any of these the only thing you’ll need is a living body, internet connection and/or kitchen. None of these business ideas specifically requires a pre-existing expertise, and everything you need can be learned on the job, but the following skills will probably be useful: knowing how to cook, knowledge of nutrition, familiarity with manufacturing, basic web design/development skills, and a familiarity with marketing. The bad news is that some of these skills can take some time to master and you don’t get exposed to them on a regular basis. The good news is that learning them doesn’t have to cost you any money, and you can implement them into your own business incrementally. So how can you start your own food business? Let’s go over the basic models. We’ve probably been sharing recipes for about as long as we’ve been cooking. And with Amazon, on-demand publishing and the proliferation of boutique book firms, you can literally get started with nothing. Pros: Usefulness and formula is about as tried and true as they come and lots of you probably already do this for fun anyways. It doesn’t cost much either. There’s probably an increased demand for healthy recipe chefs/authors/bloggers as well. Recent research suggests a lot of people would like to buy more product but they literally have no clue what to do with it. Cons: There are thousand of people doing this already, and that probably won’t change anytime soon. If you just come up with a lot of recipes and self-publish them through Amazon you might make a few hundred bucks. Search engine results are actually quite competitive for most recipes, and developing really good ones is a labor of love. Tips: To do this well you have no choice but to start your own blog and/or YouTube channel to generate attention. This is hard work and will probably take a year or two before you start to see consistent results, but it’s also very fun. Pinterest has also been a boon to aspiring chefs since it makes visual sharing so much easier. 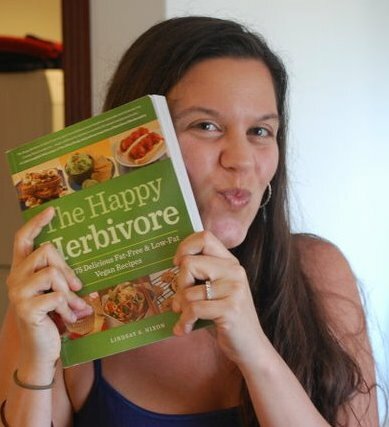 Examples and Resources: Lindsay Nixon is my favorite example of a boot-strapped health chef/author. She got started with a blog called Happy Herbivore which eventually turned into three books and regular speaking engagements. Basically Vegan is another fine example of how you can start this type of site. Hungry Hungry Hippie and Kiss My Broccoli aren’t specifically these types of sites but are also well maintained. Also use online publishing networks like the Foodbuzz circle which creates a nice online niche to gather attention and meet other people who do the same thing. 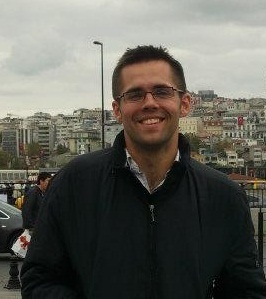 Health Kismet is a bootstrapped health supplement company. This is what I did, and it’s actually not as complicated as it sounds. You create something you want, find manufacturers who can make it, compare offers, pick the best one, and then order a batch. Taking care of all the details is a lot of work, but in my opinion there’s nothing more timeless than creating something tasty and healthy that people can put in their mouths. And if you look hard enough, it actually doesn’t cost as much as you might think. You’ll have to find a specialty manufacturer that makes products similar to your own so they’ll have well developed protocols that allow them to make products with low order-minimums. In my opinion you should be able to get started with this option for less than $5,000 if you look hard. It can cost a lot more than that too. Pros: Eating will never go out of style, and because products are reusable your lifetime customer value can be quite high. There are also lots of well developed sales channels for consumable products, so it should be easy to find places to sell your items. 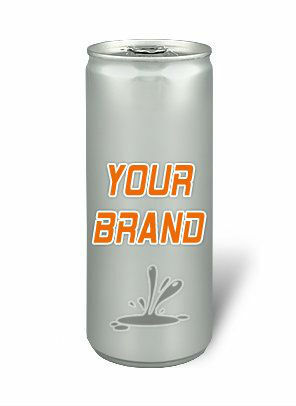 Creating your own customized product has the highest ceiling of all the available options. Cons: This option has the highest starting costs. You’ll have legal hurdles, manufacturing hurdles, and you’ll be constrained by the realities of the physical world. Liability insurance, storage costs, product spoilage will all eat into your profit margins. Getting all the details right can take time and grocery store shelf space is very competitive. This is probably the only option that can put you in bankruptcy court if things don’t go well. It took me about 9 months to go from conception to physical product and if you’re new to it all the learning curve can be steep. If it’s a health supplement you’ll have to pay close attention to FDA/FTC laws about labeling, GMP compliance, and advertising laws. If you don’t behave yourself you can literally end up in jail. Tips and Tricks: The biggest key to getting started on your own terms is to find the right manufacturer. This will take time. Make sure to be thorough to find a manufacturer that has a specialty in your type of product. There’s actually a manufacturer for just about any type of product imaginable, bars, sauces, powders, you name it. Finding a manufacturer with the right specialty will usually mean they’ve refined the finer points in making your type of product and they’ll often have lower order minimums and a greater variety of stock ingredients. If you have no clue about any of this stuff be prepared to spend 3-6 months finding the right one. Negotiating terms, talking to different sales reps is a long process. Make sure you visit the plant before officially agreeing to anything. Some people actually don’t do this and that’s crazy. Ask tough questions and visit the plants. Examples and Resources: A great example of someone doing this is…….me! I’m a one person company that’s starting his own line of customized superfood powders. I have a specialty in nutrition from university (I helped synthesize L-pyrrolsine in vitro, the 22nd amino acid), worked as a banker for 3 years, then decided to start my own health food company. Livin’ the dream. Google “my type of product” + manufacturer and see what comes up. You’ll probably get a big online billboard of all sorts of manufacturers. Use ThomasNet, which is a large directory of American manufacturers. I wouldn’t recommend using something like AliBaba because it’s nigh impossible to control for quality and assure yourself that you’re within the law. And if you have a bad batch that can literally put you out of business. This is probably the most tried-and-true way to make money on the web. People love to read reviews about stuff before they buy it, and if your site gains traction you’ll have the most valuable asset any webmaster could have: people’s attention when they’re about to make a buying decision. Even if you don’t feel like an expert, eventually you’ll start to make distinctions between products that people will find very valuable. And if your product categories fill a very well-defined niche your advertising space will be very valuable to companies. Charge for advertising space. You’ll probably be able to charge higher than normal rates because your traffic will be more valuable than most other sites. Give company’s the option to pay extra for preferred placement in your reviews or bolded links. Make commissions from affiliate links when your readers buy the product. Cons: You’ll probably have to pay for the products at first, and you’ll need a decent amount of reviews written before google starts to notice you. Tips and Tricks: The key is to review products within a very well-defined niche. This way your advertising space will be very valuable companies and your audience will be very well segmented. 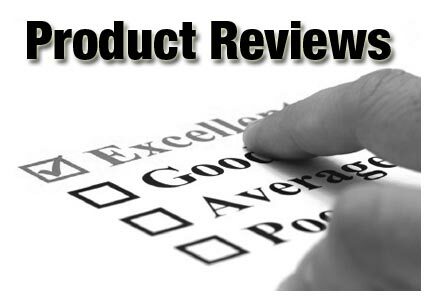 For example, the website greendrinkreviews.com exclusively reviews products within my niche. As a result, he can probably charge advertising rates that are much higher than what a website of similar traffic could charge. Examples and Resources: Lisa at healthnuttxo runs a good health food review blog. Antioxidant-fruits isn’t specifically a review website, but it does a lot of reviews for people interested in holistic health. They’re both great to work with and do good jobs maintaining their sites. Private label manufacturing is when a manufacturer makes a stock recipe and then puts your label on it so you can resell it. Pretty simple. This might seem blasphemous and cheap, but the truth is that is matters less than you think. Some version of private labeling accounts for the majority of products within most industries. Every computer is made from parts made by the same two or three manufacturers. When you go to the grocery store do you think the 18 different brands of peanut butter have radically different recipes? Nope. For the most part they’re all the same. Incredible Greens is a custom made product, but the truth is that I probably could have done private labeling and still gotten away with it. Of the 100 or so customers, potential customers, investors, and store owners I’ve talked to, not one has ever asked if anyone else is manufacturing it. The only people who have expressed an interest are friends and family who can’t believe that I have my own custom made formulation. Pros: If you want to sell a physical product this is the cheapest way to get started. Minimum orders can often start at as low as $500, and some manufacturers will even do dropship manufacturing agreements. Dropship manufacturing is when the product is only made when someone places an order, so you have no inventory or cashflow risk. Cons: You’ll sacrifice uniqueness, and have lower profit margins than with something that’s custom made, and the difference can be fairly steep. If you go the private label route your potential sales outlets will also shrink since there’s a higher chance people will already have something similar that they’re promoting. Tips and Tricks: Again, the key is in finding a good manufacturer. Shopping for a manufacturer is not like shopping for a loaf of bread. It’s very discrete and heterogenuous. Lots of manufacturers won’t touch drop-shipping and private labeling, while others specialize in it. If you’re planning to go this route, you need to be very talented at inbound marketing. Paid marketing channels will zap out your profit margins unless you think REALLY big. For example, Zappos arranged dropship manufacturing when it first started, and they got started with millions of dollars in venture capital. If you’re just getting started you’ll have to be creative with your branding and your ability to reach people who weren’t previously exposed to your products. Resources and Examples: To give you a few examples of manufacturers that specialize in dropship/private label agreements, vitabase, dietceutical, and 7DayHealth all offer pretty big private labeling options in the supplement industry. You could probably start an extensive line of products if you wanted. Extensive use of private labeling/dropshipping is a good way to start a large e-commerce store on a limited budget. Traditionally this route relegated you to bakesales and the like, but the internet is quickly making this option more of a reality. There are several online marketplaces that allow people to sell their own food, and internet startups pop-up every month that make it easier for the Average Joe to sell their stuff online. You can also start your own website and sell it from there. Pros: This is a good way to go if you love to cook but don’t have an inclination to start a business in the traditional sense. Startup costs are all but nil, and it’s a good way for people who’d like to monetize their hobby. Cons: If you’re making the food yourself you’ll never be able to make that much money. This route is well-suited for hobbyists or people with no extra cash or credit. It’s also technically illegal if your kitchen isn’t licensed commercial, but you probably don’t have to worry about that too much. The FDA isn’t going to beat down your door for selling your homemade goodies. AirBnB is a multi-billion dollar website that allows people to rent out their houses….and technically that’s not legal either for the same reasons. I’m not necessarily condoning doing illegal activities, just pointing out that the stakes aren’t too high if you want to go this route. Tips and Tricks: Make sure to utilize online marketplaces in addition to your own website. They have the advantage of having built-in traffic, and some of them have sections that specialize people selling food. Examples and Resources: Places like StorEnvy offer easy ways to setup online stores where you can sell food and health products. Ebay works too. If you go this route getting penetration in local stores might be easier than you think. Store shopkeepers are often happy to give you a little space if your stuff tastes good. If you start your own website, Stripe offers full service payment processing with no minimum fees (which is unusual). The winds of change are blowing throughout the world economy, and it’s best to change with them instead of hopelessly pining for the way things were. That’s a waste of time. If you read this blog you’re probably interested in health, wellness, and perhaps you have an interest in doing something for yourself in this area. Most people think starting a health/food company has to require a lot of money, but that’s not true. Maybe 20 years ago, but not now. It does take resourcefulness and hard work, but that’s a lot better than requiring hundreds of thousands of dollars in cash. I think most people would love to have their own business, but have no clear idea about how to make it happen because the process is so unfamiliar to them. This guide is obviously not exhaustive, but I hope it gets your brain pointing in the right direction. So what do you think, how long would it take you to start the first stages of your own health food company? Hi Jonathan, I would like to take issue on the section “Private Label” for foodpreneurs . Most private label or contract manufacturers create products to the customer’s specifications vs. “making a stock recipe…”. Now some may have what you call stock recipes, but most are producing proprietary products and certainly any “stock recipe” can easily be modified to be different. Uniqueness comes from identifying a market problem (an unmet need) and identifying high potential customer segments along with a strong new product launch strategy. The contract packer is a great resource for foodpreneurs in so far as they have deep experience sourcing ingredients and packaging. They also allow foodpreneurs to re-allocate precious startup capital from plant and equipment to sales and marketing. You’re right that private label often does create a customized formulation for someone and most of the time (especially for new companies) that makes a lot more sense that buying your own equipment, which can be prohibitively expensive. I think the point I was making is that, as an alternative to developing your own product (which I mentioned above), you can also put your own label on something that’s already been created, which can also work well depending on the rest of your business. I think this would be especially true for people who have a knack for marketing instead of product development, as well as people who are looking to sell products that are complimentary to their core business, such as doctors, trainers, or restaurant owners. Great advice. Would anyone happen to know if school, mostly nutrition based education would be more beneficial than not to start a green supplement company?